President Cyril Ramaphosa says there is a need to strengthen the capacity of the state to address the needs of the people. “We have made progress in examining the size and structure of the state, and will complete this work by the end of this administration,” President Ramaphosa said. 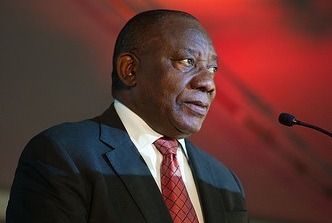 Delivering the State of the Nation Address in Parliament on Thursday, President Ramaphosa called on South Africans to make suggestions on how government can better configure government to serve the needs and the interests of the people. “Work on the reconfiguration of the state is at an advanced stage. We are pleased to note that in the spirit of active citizenry many South Africans continue to show a great interest in the future reconfigured state,” President Ramaphosa said. “We will process the operationalisation of section 8 of the Public Administration and Management Act, which strengthens the outlawing of public servants doing business with the state and enable government to deal more effectively with corrupt activities. “This provision will see the imposition of harsher penalties, including fines or prison sentences for officials that transgress,” President Ramaphosa said. To ensure that government effectively and with greater urgency harnesses technological change in pursuit of inclusive growth and social development, the President has appointed a Presidential Commission on the 4th Industrial Revolution.